This refreshing salad makes a great starter dish or quick lunch. 1. Cut the rind from the watermelon, then dice. Place chunks in a colander to drain. 2. For the dressing, in a small bowl, whisk together the olive oil, fresh lime juice, salt, and black pepper. 3. 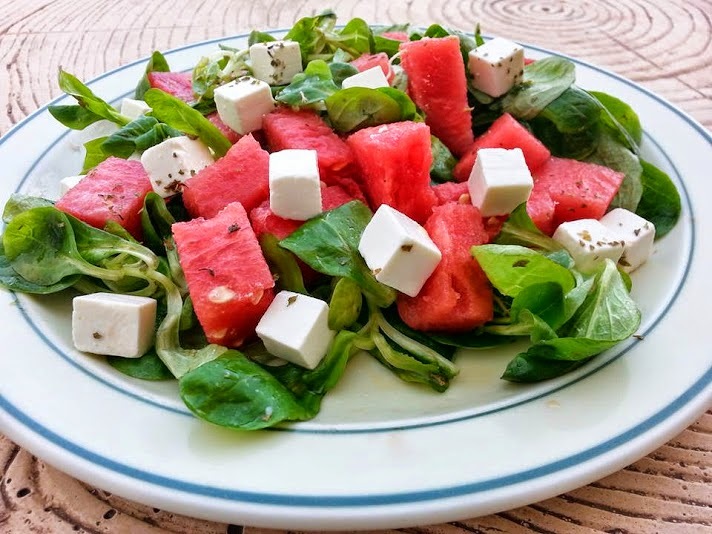 Place watermelon in a large salad bowl. Coat with the dressing and season with pepper and chopped mint. Serve on top of the watercress leaves.